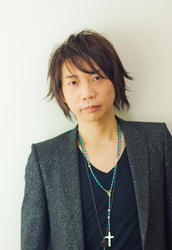 An experienced topnotch voice actor, Junichi Suwabe started his voice-acting career in 1996. Since then, he has been voicing not only for anime, but also foreign drama/films and games. Besides, he often narrates in TV programs. The main anime characters he played include Grimmjow from "Bleach", Takashi Komuro from "Highschool of the Dead", Keigo Atobe from "The Prince of Tennis", Daiki Aomine from "Kuroko's Basketball", Toji Kanzaki from "Yowamushi Pedal" and Ren Jinguji from "Uta no Prince-sama". He is currently playing is Dandy from "Space Dandy".